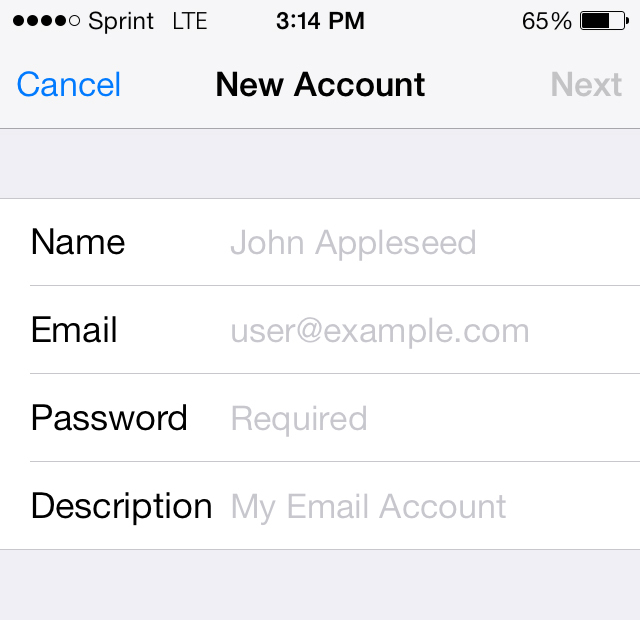 For most users, selecting IMAP should be the simplest way to go. » Test the setup by returning to the home screen, and opening Mail. It should download your emails after an initial delay. From there, you should test creating an email to make sure sending works as well.